Fear not, the rise of reliable connectivity has changed our lives forever at work, it’s changed the way we’re able to access entertainment at home and it’s changed the way students are able to study. Well, it’s set to offer us more choices when we’re on holiday too – and that doesn’t just mean we can be chained to our work emails for two weeks! Rare are the times when we escape from our always-on culture and, now that we’re used to that reliable connectivity both at home and at work, we want to be able to access what we need, no matter where we are. From the moment we leave home, connectivity means we’re never lost thanks to our Sat Navs. The cries of ‘Are we nearly there yet?’ can be reduced by giving the kids access to their favourite content while we’re on the move. Once at our destination we can stream our favourite movies or music, look up restaurants to go to in the evening and find local attractions to visit. We can also have peace of mind by being able to keep an eye on what’s going on at home, accessing home surveillance cameras to check our older children aren’t having parties or the pet sitter is caring for the animals properly. What makes D-Link products different is that, thanks to mydlink™, users can do all this through one app. You can access, control, view and share content from all of the D-Link devices in your home – routers, storage devices and IP surveillance cameras can be controlled and monitored from your own personal account – creating your own personal home cloud, accessible from anywhere. 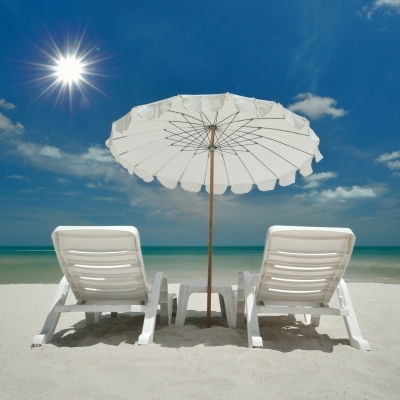 So, you can enjoy your holiday and stay connected – and that doesn’t just mean to work!